Social media sensation, reality TV star and business entrepreneur Kim Kardashian West is the cover star of fashion Bible Vogue's May 2019 cover story.The 37 year old, who covered the publication five years ago with her husband Kanye West, goes solo for the new edition and shows off her famous curves. Photographed by Mikael Jansson with the styling works of Tonne Goodman, Kim is seen on the cover wearing a Chanel top paired with a necklace from Irene Neuwirth. 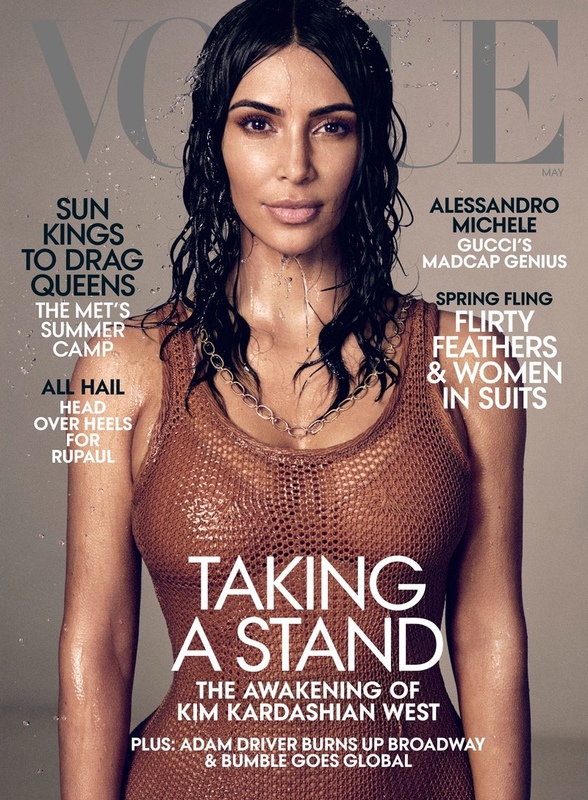 With her hair done in wet look waves and her face naturally flawless, Kim takes over the Vogue world with her latest cover story. Seen in the rest of the editorial spread is the raven haired star showing off her famous curves clad in designs from Valentino, Brandon Maxwell, Rosetta Getty and 3.1 Phillip Lim among others, and Kim also gives a look at her sprawling Hidden Hills mansion. Appearing in the shoot are also her three children, North, 5, Saint, 3 and Chicago, 1, and Kim also talks about baby #4 on the way via surrogate. The interview also discusses Kim's mega business, her hectic life with kids, her luxurious and pristine home, and an unexpected revelation - Kim's decision to study law. Inspired by getting justice for Alice Marie Johnson, the celebrity is set to begin a four-year law apprenticeship and has goals to take the bar in 2022. With a large family, her multi-millionaire business and plans to study law, there is no stopping KKW!